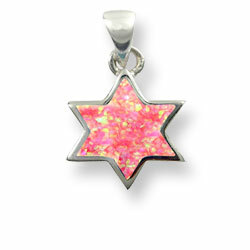 Sterling silver Star of David set with crushed opals. High fashion art work from Jerusalem / Israel. would you like a St. Silver chain?